Storm surges are huge domes of water sucked upwards by the eye of a hurricane. What happens if they hit the shore, or worse, a city? 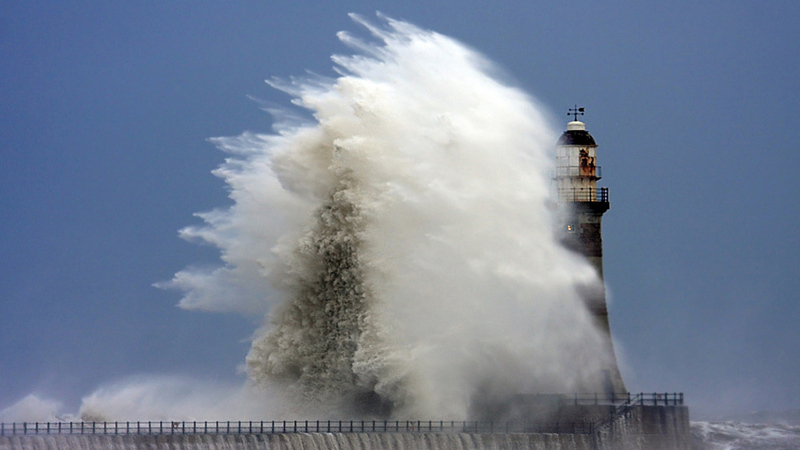 Storm surges are caused by low pressure in the eye of a hurricane. Low pressure causes the ocean's water level to rise and form a dome. The raised water travels with the storm as six-metre waves that eventually hit the coast and cause a massive flood. Coastal cities, New York and Tokyo, could eventually be hit by storm surges if global warming continues. Hurricanes can produce extremely high winds that can blast cities to destruction. But as in the disaster of Hurricane Katrina in 2005, sometimes it's the ocean that brings the biggest threat – the storm surge.